It’s time to say goodbye to all those fitted and body tight ensembles and say hello to voluminous garments. In today’s article, I want to share with you my favorite ways how to create polished looks by wearing billowy trousers this year. Believe me, if you know how to create a balanced and proportional look, then you won’t look frumpy and slouchy. Read on to see my favorite ways of wearing billowy and loose-fit trousers in your everyday life. If you are a petite girl, then you better wear high-waisted bottoms, so you can achieve a more proportioned silhouette. First of all, I recommend starting with casual and simple tops. 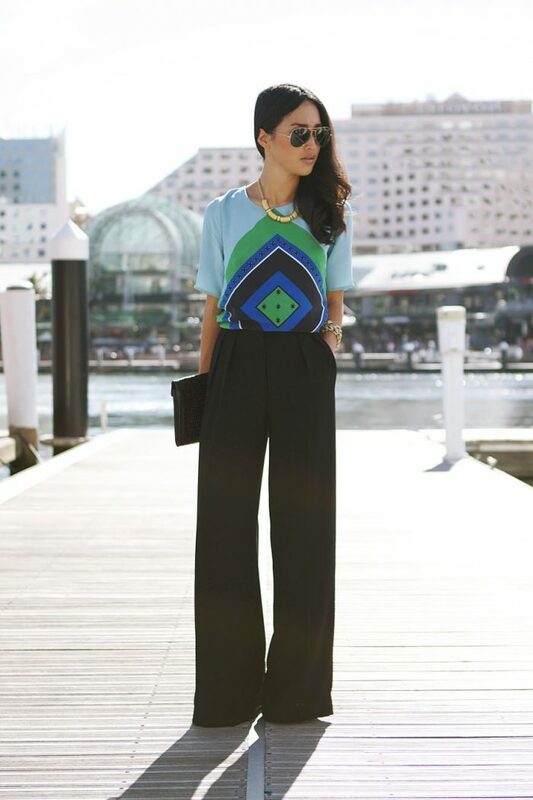 The loose-fit trousers look bright and loud, that’s why the best way is to tone them down with simple and casual tops. You can start from simple solid color tanks, crop or bandeau tops, and then try something brighter and fun-looking, like graphics or printed tops. The billowing trousers will make a statement and balance out your casual look. If you are not a fan of crop tops, then you can always opt for a fitted top that will define your waistline without exposing your bare skin. Of course, if you don’t want to look simple and boring, then I recommend to try on asymmetrical tops that will create interesting balance and silhouette. Personally, I love to see ladies who appear on the streets wearing neatly tucked button-downs and belted voluminous tops tucked in those wide bottoms. 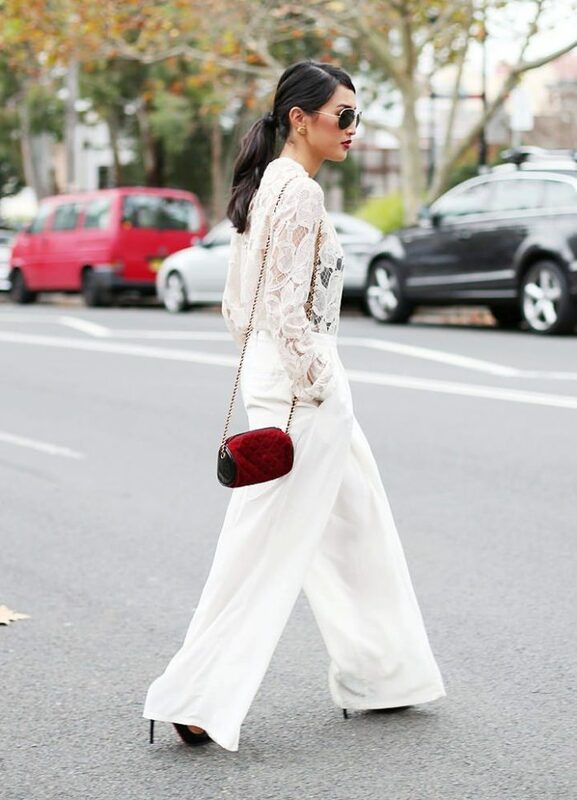 If you are a risky person, then why don’t pair billowy trousers with voluminous tops. Modern fashion and fashionistas offer us to pair voluminous with voluminous, as well as oversized with oversized. For instance, you can try on off-shoulder ruffled top with wide floor-length trousers or pair oversized sweater with your favorite billowy trousers. 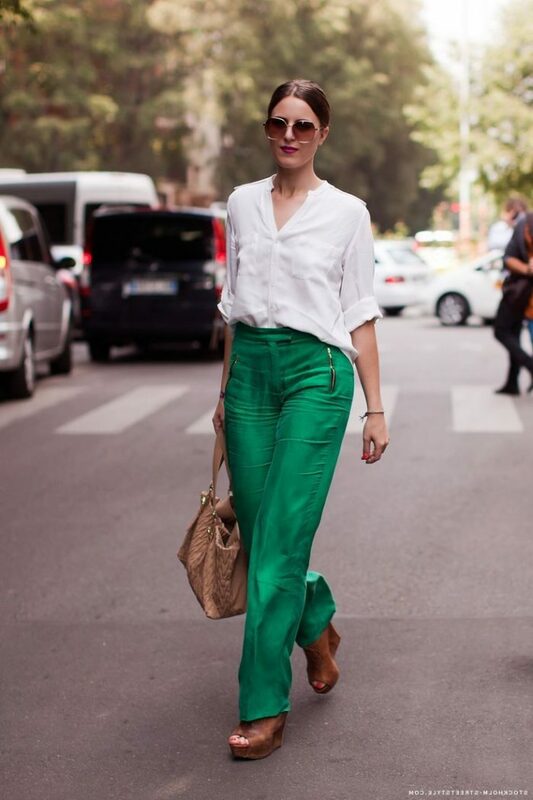 The next way how to achieve a perfect look by wearing your favorite wide trousers is to create a monochromatic look. This will create an illusion of a onesie, jumpsuit. This is a perfect way to make your outfit look polished and sophisticated. All you need is to add glamour accessories, like a sophisticated necklace, elegant clutch or chic sunglasses. If the weather is chilly outside, then why don’t you add a statement jacket, blazer or coat. Believe me, any kind of outerwear piece will make you look original and creative. You can either dress your trousers up or dress them down. In other words, you better use creative layers to make your outfit look unique and individual. All you need is to wear piece that is not supposed to be worn together. 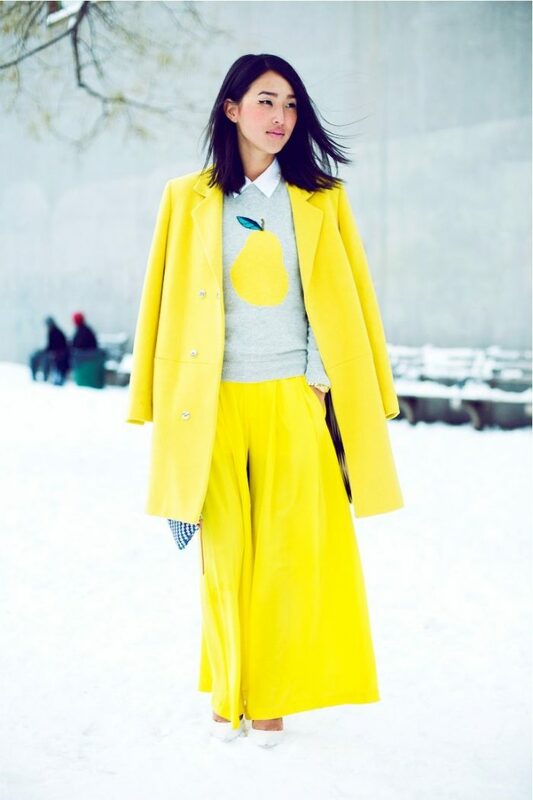 Do You have any thoughts about Women’s Polished Looks With Billowy Trousers? 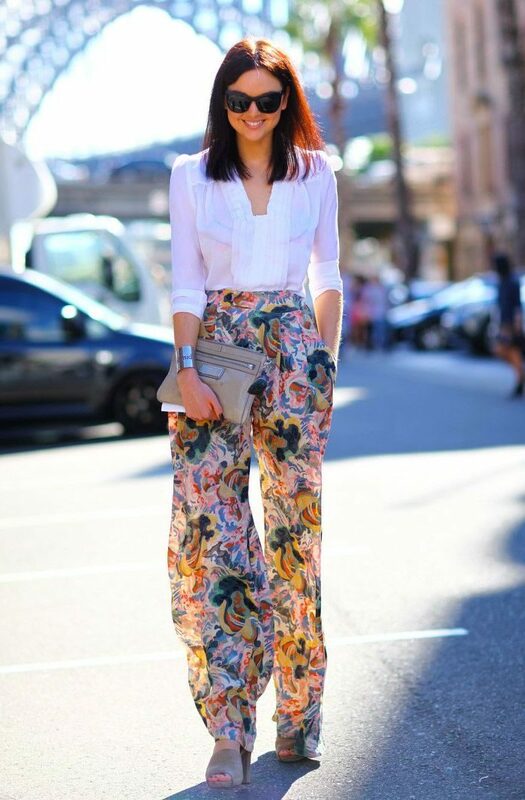 Here are Fashion Tips pictures and trendy women’s outfits which are in style in 2019: Billowy Trousers, Casual Tops, Cropped Tops, Fitted Tops, Layered Looks, Monochromatic Style, Must Have Fashion Trends For Women, Street Style Women's Fashion And Inspiration, Voluminous Tops and tips on how to wear them on the streets.